According to the Canadian Imperial Bank of Commerce (CIBC), the Canadian Dollar will likely continue its long, slow slide and may fall below 85 cents U.S. sometime in 2015. While CIBC sees the lower loonie as a good thing for the Canadian economy, some Canadians may be rethinking buying a Palm Springs area vacation home this year. Does this make sense? Is Investing In Palm Springs Real Estate A Good Move Today? If a Canadian buys a Palm Springs area home today and the loonie later declines, has this buyer not done well by investing in the U.S. dollar asset that is rising against the Canadian Dollar? And if Palm Springs area real estate gains in value again this year would that not be another good scenario? I’ll be the first to admit that my financial crystal ball is in the shop for repairs. And I never give financial advice (and I’m not doing that here). My point for Canadians is to look at the big picture and speak with your chartered accountant about this scenario. Most Canadian homebuyers tell me that they are not simply investing in a Palm Springs area home. Instead, they see themselves investing in a Palm Springs area lifestyle for their family and friends. And if your lifestyle investment just happens to increase in value through real estate appreciation or a rising U.S. dollar, I’d call that a win-win situation. During the past six months, we’ve seen an increase in purchases of luxury and super-luxury properties here in the desert by Canadians. Recently I helped a Canadian couple find their new country club home that was priced at U.S. $5.6 million. 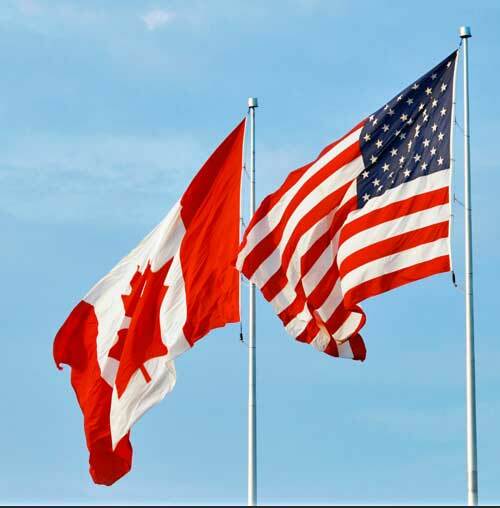 Theses buyers, like other Canadian buyers, are still finding great values here in the Palm Springs area, and they likely see investing in the U.S. as a good way to diversify their investments. Here’s a link to a related article in The Huffington Post. Disclaimer: The above information is not intended to be financial or legal advice or a prediction or advice for any financial or real estate markets. If you desire financial advice, please consult your chartered accountant or real estate attorney.